The following is a review of top 3 basic computer skills to master for any individual that makes use of a PC whether at work or for personal purposes. Over the past two decades, computers have gone on to become an integral component of our day to day routine. Even if you do not have to utilize one in your professional endeavors, you still need to process an occasional document or send an email to your family and friends. This makes it all the more necessary that you should be conversant with a few tricks, which can make using your computer a fulfilling experience. Well, let us now take a closer look at some of the computer skills that can put you in a good place in 2016. Emails have effectually replaced the traditional postal mailing system as the preferred mode of communication for many people and also business organizations. It is therefore always a good idea to know just what it takes to be proficient in sending and receiving emails. One of the most critical features of email is the ability to send mass messages to numerous recipients simultaneously. This totally does away with the need to jot down draft after draft of the same message that is meant for a group of recipients. To this end, all email applications come with the BCC fields, which allows you to input the addresses of all the recipients you wish to contact at the same time. You should also learn how to insert URL links in your emails, which can come in very handy if you want your recipients to refer to any given web page that may be relevant to your message. For more detailed elaborations, you can make use of the attachments function that allows you to attach many types of files to the emails you send. it is quite shocking that quite a large number of PC users do not seem to know that there are keyboard shortcuts, which are solely designed to enhance their efficiency. This makes learning these keyboard shortcuts, certainly one of the top 3 computer skills to master in 2016, which will be covered in this article. Of course for basic computing needs, you will not be required to memorize all the shortcuts that come with these machines. But mastering some of the most essential will allow you to greatly improve your user experience. Some of the most commonly utilized keyboard shortcuts include Ctrl + C, which activates the copy function. Ctrl + V that initiates the paste function, Ctrl + X, which activates the cut function. Along with Ctrl + backspace that deletes whole words rather than just single characters. Touch typing is a skill that you ought to be conversant with, even if you do not earn a living by typing. Learning to do this can go a long way in improving your typing speed as well as typing accuracy. In essence, by mastering the art of touch typing, you will be able to rely solely on your motor reflexes rather than your sight when you type. This will leave you entirely free to place your full attention and concentration on your computer screen instead of the keyboard. Ultimately when you master this basic computer skill, you will find out that you can significantly enhance your efficiency and also your overall productivity. This, in the long run, will make you infinitely more marketable in whatever career you might have set your eyes on. It is no secret that quite a large number of employers tend to have a preference for job seekers who have been able to master touch typing. 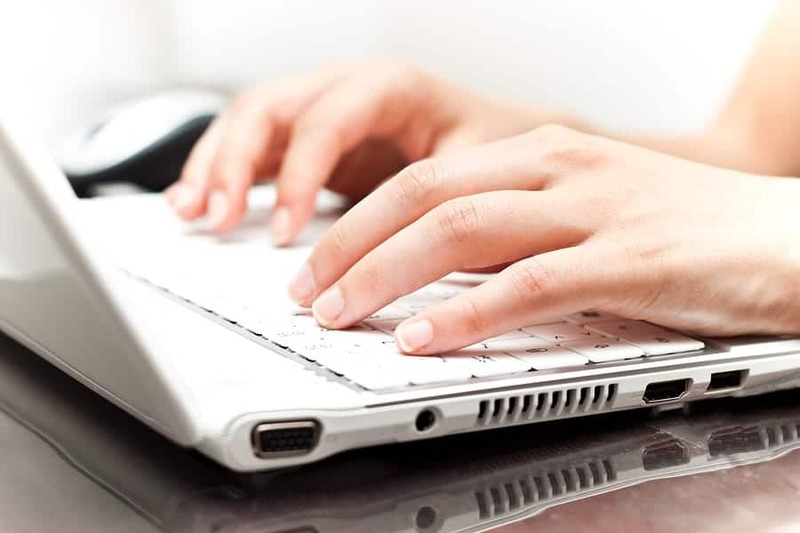 There is a wide variety of free online typing programs that have been specifically designed to help you in this process. Most of which begin by evaluating your current typing speed, before providing you with techniques that can significantly improve it. The minute you pass the typing test, you will obtain a certificate, which can prove to be an invaluable addition to your resume. 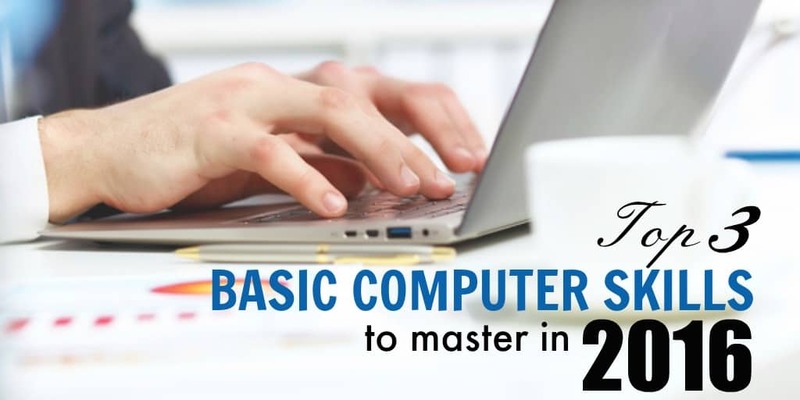 Well, now you know the top 3 basic computer skills to master in 2016 that can improve your user experience, and at the same time, also make you more proficient in using your PC. Andy Bell is an everyday learner and editor, working at TutoringHelp. He is passionate about helping online learning businesses to achieve their goals. He loves tutoring job & his favorite subjects are math and English, but he has also taken honors classes in science and history. Outside the classroom, he enjoys tennis and is an active member of the Rancho Crandon Park. How about learning Excel? I don’t have a whole lot of experience using it, besides the basics.I find a lot of the administrative jobs I’m interested in require you have experience in Excel. Do you recommend any easy online training I could watch and go through to learn Excel quickly? Yes that is definitely a great skill to master especially for any administrative job. I recommend checking out YouTube for a host of Excel video tutorials. I’ll search around and see if I can find any additional training programs. Nice to Meet You! 🙂 I have done a little where I promote coupon and survey offers, What type of affiliate work were you interested in? You should definitely push your baking business. Have you though about starting your own blog?